Events count toward membership requirements unless noted otherwise. New Event ideas are always welcome. Please contact any board member with your ideas. FEB 9 -- First Draft - CANCELLED! Next steps in becoming a successful draft team! a proficient and happy draft team! Performance Dogs In Action for the whole day! Entrants can work on Rally OB, Agility, and Dock Jumping. owner/trainer Nola Jones and test your dog’s herding abilities. 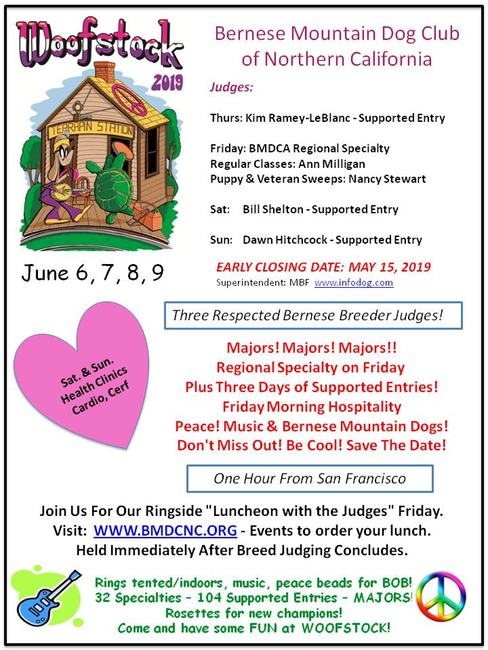 If you are a BMDCNC member and your dog earned a new title or certification in 2018, we want to honor your hard work. Awards applications must be received by February 28th - download the form below and be sure to get it in on time! Pre-order lunches for $18/person - orders are due by March 15th. Download the order form below or order your meals through PayPal. 11:00 Arrive: Get settled, mingle, and enjoy appetizers. We will set up some draft obstacles (narrows, back-up station, etc.) for draft practice. The park has different types of terrain, so it’s also perfect for practicing the freight haul. 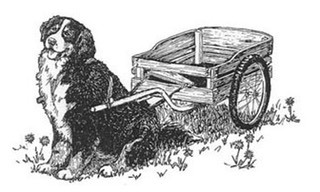 Experienced drafting handlers will bring extra equipment for curious new handling teams to try. 12:00 Potluck BBQ: Bring your own meat (or other items) to grill. We will supply the fire. Last names A-K: Please bring an appetizer to share. Last Names L-Z: Please bring an salad or side dish to share. The club will provide beverages, eating utensils, and dessert. Swiss Spirit Opening Parade at 10:00 a.m. – Events start at 10:30 a.m. Please remember to bring a crate or ex-pen and water for your dogs! There is shade, but you may want to bring your own. 11:00 RALLY PRACTICE RING - Come give it a try! The club will supply the fire. 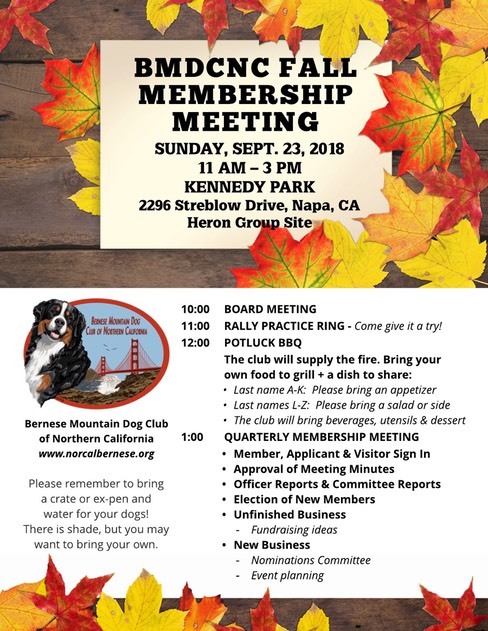 Sunday, October 6, 2019 9:00 AM - 3:00 PM! Our heartfelt thanks to those who came from near and far again last year. 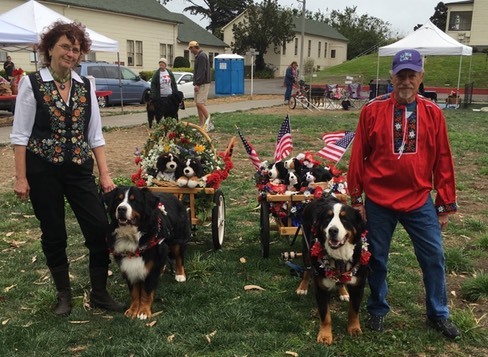 We had over 130 Bernese guests at the 2017 Bernese Mountain Dog Day! We visited with 13-year olds down to those fluffy little puppies! 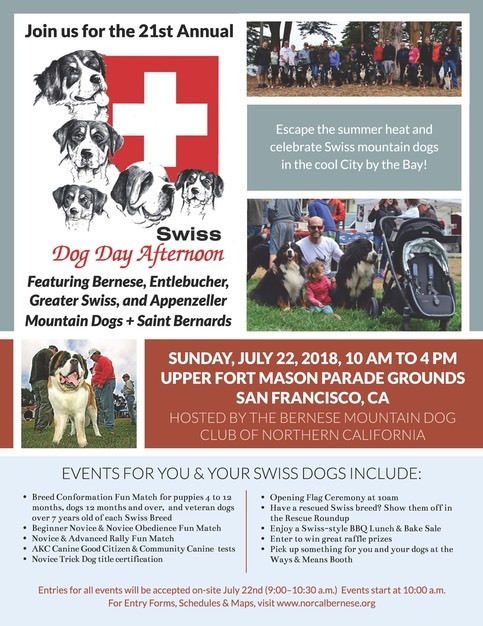 Bring your Berner Friends this year or Just Come to Enjoy the Pack! Be sure to take pictures! 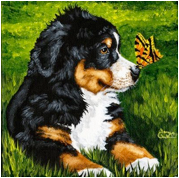 Miss Cora and Miss Chloe will be there to greet you all with great memories and bright futures for our wonderful Berner Pals! Farmer John will be ready for hay rides for all the pack! 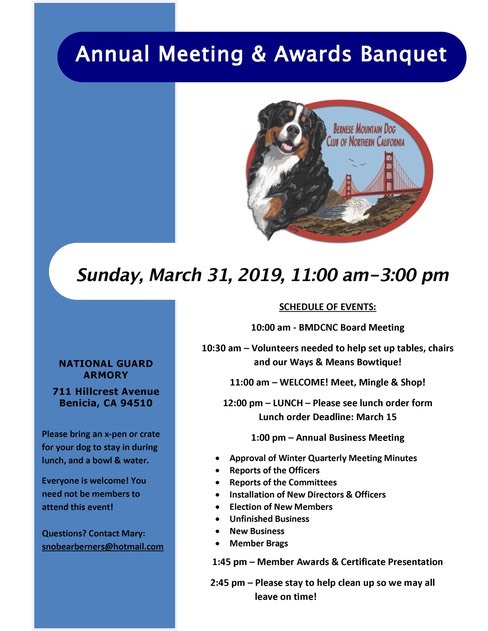 When you see someone with a Berner, spread the word... Just can't wait! Farmer John's is located at 800 North Cabrillo Highway, on the Ocean Side, in Half Moon Bay, The Pumpkin Capital. Arrive early to beat the traffic. Water for the dogs and porta-potties for the people are provided. For more information and directions visit Farmer John's Website.